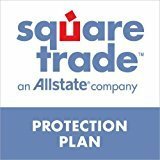 Upon purchase, you will get an email confirmation from SquareTrade. You will not be mailed a paper contract. If you have questions, please call: 1.877.WARRANTY.